This prom was perfectly fitted to me, with very high quality. I was so satisfied with great and very friendly customer service. Almost of my guests were so impressed about my dress. It looks so beautiful and they said I looked like a princess with tiara. i am so happy! 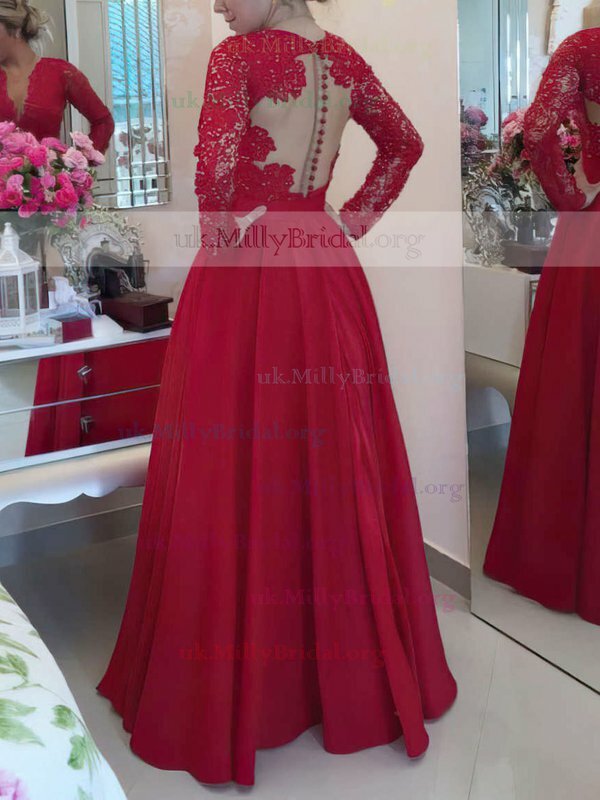 thank you MillyBridal! I felt like a princess on my Wedding day! Love this dress and it was perfect for our Christmas themed Wedding last week. Only had a few things to get altered on it but otherwise just perfect. We saw this dress on pinterest,I love the cutting! and she felt in love with this dress too, so we purchased the dress in a week. and i have to say that the pics did not do justice! this dress is much prettier in person, my sister looks so pretty! Thank you guys for making this amazing prom dress! we would recommend you to all friends! My dress was absolutely beautiful and everything I dreamed it would be and more. It only arrived the day before my birthday but was perfect. I feel the dress runs a little smaller than the sizes indicate, which isn't surprising with dresses. I need some alterations, but the party is in December and I plan to loose a little weight so alterations where planned. Besides that I love the dress. The dress looks like the photo. I must admit, I was a bit skeptical about buying a dress online; however, it turned out better than I could have imagined. It fits perfectly and looks stunning. The customer service was also such a great experience. Ashley from their Customer Support Team was amazing and helpful. She requested all my measurements and seemed genuinely concerned that I recorded exact measurements. Such a great experience.